Texas' Republican leadership cheered the announcement of the so-called Affordable Clean Energy (ACE) Rule, which will give states broad authority in determining how to regulate pollution from coal-fired power plants. Along with coal-friendly West Virginia, Texas led a coalition of about two dozen states that sued over the rule's predecessor, calling it federal overreach. The Trump administration on Tuesday unveiled a plan that will drastically curtail an Obama-era regulation that would’ve required states to slash planet-warming carbon emissions by shifting from coal power to natural gas and renewables. The proposal, which the coal-friendly administration is calling the Affordable Clean Energy or ACE rule, will give states broad authority in determining how to regulate pollution from coal-fired power plants. But the requirements are so weak that many environmental groups say it may not require states to do much, if anything. Texas’ Republican leadership cheered the new proposal on Tuesday, which will go through a public comment period and is sure to face legal challenges. Under the plan, states would have three years to devise plans to reduce greenhouse gas emissions from coal-fired power plants. Those reductions would be achieved mainly through the "efficiency improvements" at power plants. According to the U.S. Environmental Protection Agency, the rule gives states "adequate time and flexibility to develop their state plans." Texas and West Virginia led a coalition of about two dozen states that sued over the Obama administration’s so-called Clean Power Plan, which the ACE rule replaces. The plan, which never went into effect amid legal challenges, would have required every state to slash carbon dioxide emissions from power plants by 2030 however they saw fit, accelerating a shift from coal that started years ago. Carbon dioxide is a potent greenhouse gas that directly contributes to climate change. For Texas — the nation’s top emitter of carbon dioxide by far — that would have meant cutting an annual average of 51 million tons of emissions, or about 21 percent of emissions based on 2012 levels. The state’s main grid operator argued that the regulation would’ve increased Texans’ energy bills by as much as 16 percent by 2030 while increasing the threat of outages, particularly in areas near retiring coal plants — a projection the Texas GOP repeatedly hammered. But experts and environmental groups said Texas — the nation’s top producer of wind energy — was already well on its way to meeting the requirements of the Clean Power Plan. "Texas is already on track to achieve about 65 to 70 percent of the reductions that will be required under the Clean Power Plan,” John Hall, Texas director for the Environmental Defense Fund's clean energy program, told the Tribune in 2015, the year the Obama administration announced a final version of the regulation. "There never have been limits on how much carbon power plants can emit into the air," Obama said at the time. "For the sake of the planet, that has to change." Michael Webber, deputy director of the Energy Institute at the University of Texas at Austin, has said that Texas — also the nation’s top producer of natural gas — actually stood to benefit economically from the plan because demand for that cheaper and cleaner-burning fossil fuel would have risen. Some experts have downplayed the impact of any kind of power plant regulation at the federal level, pointing out that utilities have been moving to slash carbon emissions for several years because natural gas and renewables are significantly cheaper than coal and because some customers and shareholders have grown to prefer green energy sources. Large municipal utilities in the Austin, San Antonio and El Paso areas have already taken major steps toward reducing greenhouse gas emissions. Conservative Georgetown, 30 miles north of Austin, has made headlines for becoming one of the first cities in the United States to run on 100 percent renewable power. 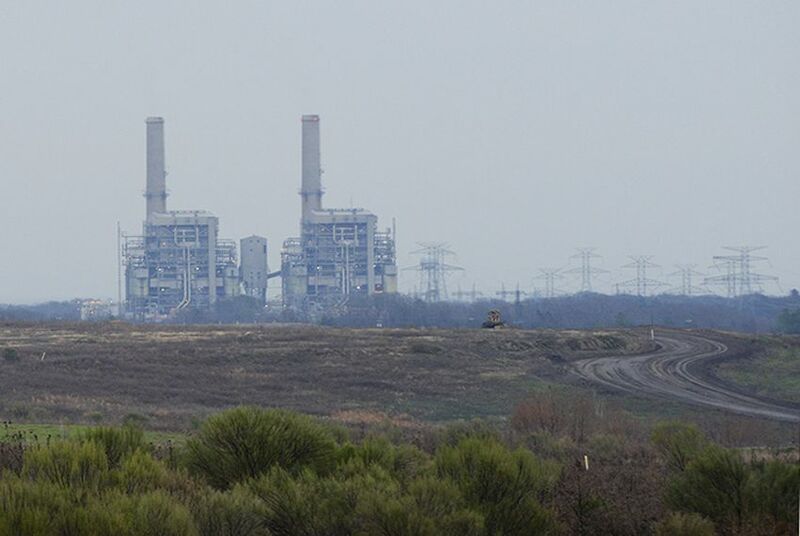 Late last year, Irving-based Vistra Energy and its subsidiary, Luminant, announced plans to shutter three major Texas coal plants: Monticello, Big Brown and Sandow. Steve Weiler, a longtime Washington, D.C.-based industry lawyer, said in a statement Tuesday that “In response to the economic factors, like the availability of abundant and inexpensive supplies of natural gas and increasing amounts of renewable energy, the market moved away from coal plants. The Clean Power Plan merely accelerated the market trends." Rice University Environmental Engineering Professor Dan Cohan said, "Honestly, I don't see this affecting Texas much." "The coal plants that have been closing have been for financial reasons. This won't bring them back, nor improve the economics of the ones that remain," he said. "CPP wasn't in effect anyway, and this new rule is intentionally weak." Still, environmental groups said the Clean Power Plan was an important incentive to speed up the shift to green energy and also protect public health. A technical analysis of the plan by the EPA released Tuesday acknowledged that the plan would increase carbon emissions and lead to up to 1,400 premature deaths annually, according to the New York Times. Disclosure: The Environmental Defense Fund, the University of Texas at Austin and Rice University have been financial supporters of The Texas Tribune, a nonprofit, nonpartisan news organization that is funded in part by donations from members, foundations and corporate sponsors. Financial supporters play no role in the Tribune's journalism. Find a complete list of them here.